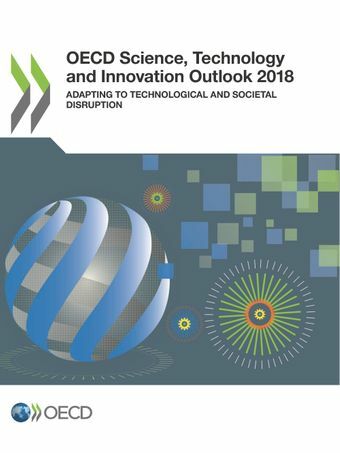 The OECD Science, Technology and Innovation Outlook 2018 is the twelfth edition in a series that biennially reviews key trends in science, technology and innovation (STI) policy in OECD countries and a number of major partner economies. The 14 chapters within this edition look at a range of topics, notably the opportunities and challenges related to enhanced data access, the impacts of artificial intelligence on science and manufacturing, and the influence of digitalisation on research and innovation. The report also discusses the shortcomings of current policy measures, how the Sustainable Development Goals are re-shaping STI policy agendas, and the need for new - more flexible and agile - approaches to technology governance and policy design. While these disruptive changes challenge policy makers in a number of ways, the digital revolution underway also provides solutions for better policy targeting, implementation and monitoring.This report relies on the latest academic work in the field, research and innovation statistical data, as well as data on wider trends and issues. It makes extensive use of country responses to the 2017 EC OECD STI policy survey (https://stip.oecd.org) and features contributions by renowned experts and academics to broaden the debate and provide more personal, sometimes controversial, angles to it. 19/11/2018 - The Secretary General of the OECD, Mr. Angel Gurría, launched the OECD Science, Technology and Innovation Outlook 2018. in the presence of Andrew Wyckoff, OECD Director for Science, Technology and Innovation (STI).